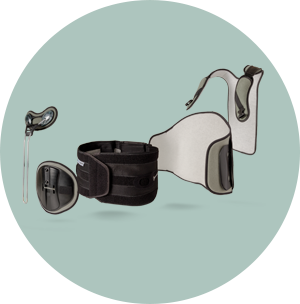 The Contour™ TLSO by Aspen completes the QuikDraw™ Bracing System by providing motion restriction for the thoracic and lumbar regions of the spine. Modular and highly adjustable by design, the Contour TLSO delivers a comfortable fit and the rigidity required for a therapeutic level of motion restriction, creating a controlled environment for postsurgical healing. Tightening is done from a neutral position, without twisting, allowing for consistent therapeutic compression despite patient’s fragility, grip strength or shoulder limitations. 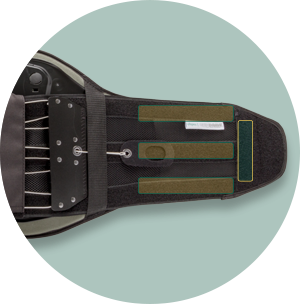 Three height adjustment settings on the back panel and two girth settings on the lateral panels support diverse patient anatomies, achieving a comfortable fit and optimal motion restriction. Padded Rigid Anterior Panel (RAP) combined with the posterior panel simulate the structure of a bivalve LSO to provide a therapeutic level of support. Multiple TLSO configurations are available for the treatment of specific diagnoses. 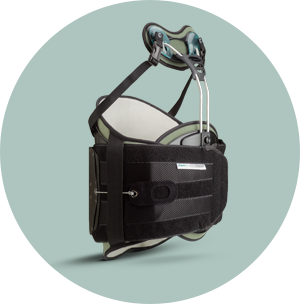 Chest Panel, Shoulder Strap and Sternal Pad options promote patient specific customization while minimizing the need to inventory numerous fully configured brace variations. 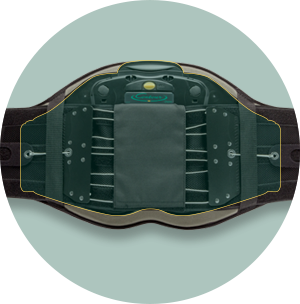 The Sternal Pad Kit (SPK) was designed specifically for the supine patient and ease of application.